I never would have thought my introduction to cheese-making would happen when I was cooking African cuisine. Italy or France… maybe. Ethiopia… not so much. 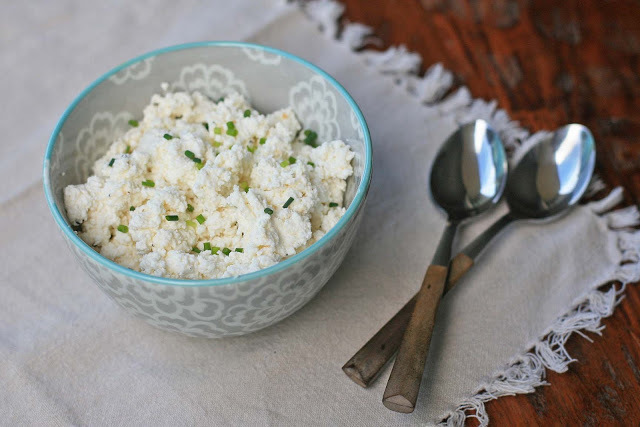 But almost all the spicy recipes call for a side of cottage cheese or yogurt to help temper the heat. Turns out, that’s a just a Western substitution for ayib, a fresh cheese that’s something of a cottage cheese-ricotta hybrid. I’d always heard making soft cheeses was easy and I’m happy to report that the rumors are true. 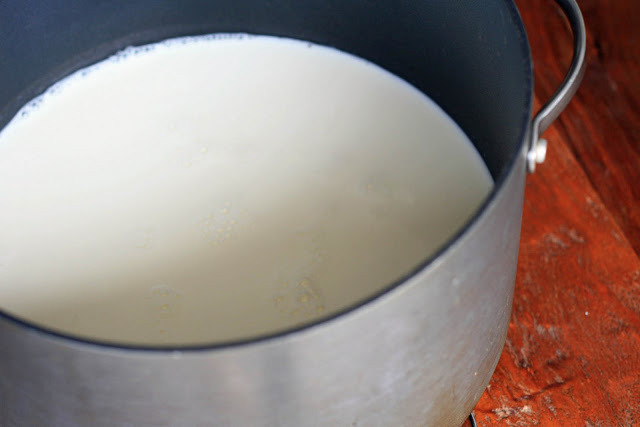 All you do is boil up some milk, add lemon juice and strain the mixture and let it sit overnight. Season with salt and pepper and you’re dunzo. Slather it on some injera, sprinkle it on top of a spicy stew, or just sneak a bite or two. I won’t judge. Bring the milk to a boil over high heat. Reduce the heat to medium and pour in the lemon juice. 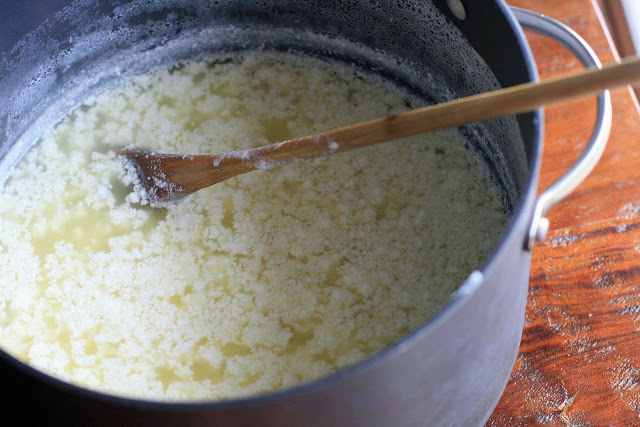 Reduce heat to low and cook, stirring constantly, until curds begin to form. Remove from heat. Line a sieve or colander with cheesecloth (or use a very fine sieve). 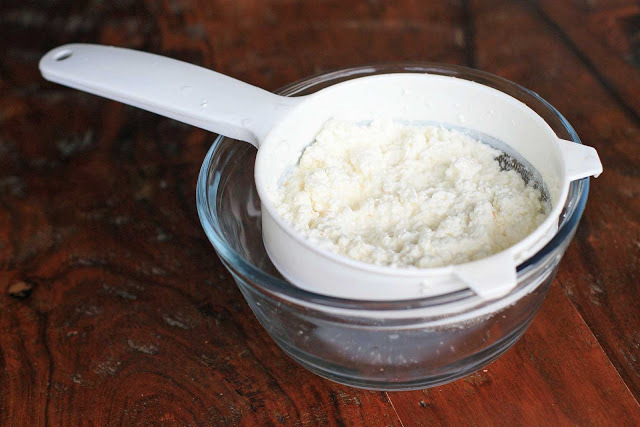 Spoon the curdled milk into the sieve or collander and rinse with cold, running water to remove any lingering lemon flavor from the curds. Place over a bowl, cover with plastic wrap, refrigerate and let drain for 8 hours or overnight. Discard the liquid. Place the cheese in a bowl and season with salt and pepper. Top with chives or green onion, if desired.